Now here is them in the dark. I felt it necessary to show you the difference between the first and the second photo because although it's not that noticeable in the photos Ghoulish Glow lasted barely a minute with a strong enough glow to notice, whereas #06 is very clear and very bright in both pictures. I also love #06 glows blue, it's so bright! This is #06 on its own and these kept their glow for a lot longer than I've ever seen Zombody To Love or Ghoulish Glow manage! 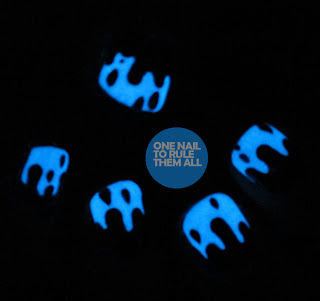 I decided to create some nail art with them too, because of course this is after all a nail art blog and I couldn't resist, so glow in the dark drips it was! This is the only photo with top coat because I kept these on a bit longer. I love the effect of these, even if I did put too many drips on them. Overall, I was incredibly impressed with #06, it dried fast, as did Ghoulish Glow, and although it was yellow the incredible glow it produced made it worth it. 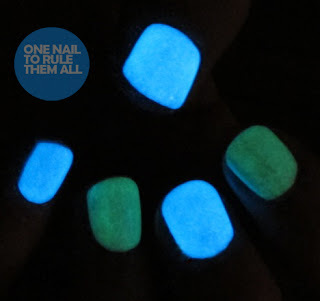 I will definitely be buying more colours from this range, even if halloween is over! #06 retails at $4.99 on bornprettystore.com and if you use my coupon of KHL91 you can get 10% off! Oh this is great review! 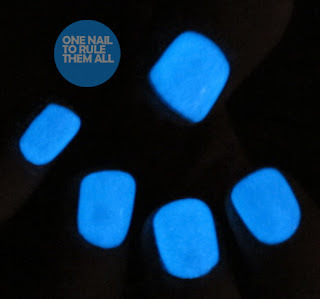 Loving the blue glow too, so bright! how awesome! Wow how awesome! 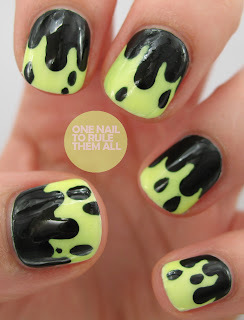 Love the drips! WoW! I had placed the Bornpretty GID polish in my cart then removed it coz I had no clue if the glow would last. Your review helped. Off shopping.. ta! WOW! I am totally getting the BPS polish!! Wow how awesome is that. 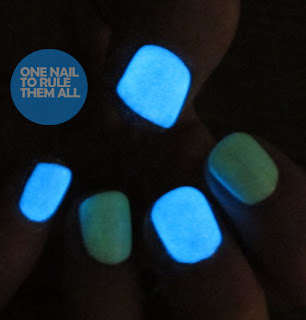 Have never seen or heard of a glow in the dark polish before. What a treat, looks fantastic and one for halloween and clubbing. that's really awesome! I've been wanting a glow in the dark polish for a while and I think I'll probably have to get this one now :) the drips look awesome in the dark, too!